This is THE best podcast around if you want Mac Chat. The quick wit of the two presenters is excellent and so entertaining. Elaine’s customer service tales are so funny, and you can always guarantee an informative and amusing hour spent with Elaine and Mike. But funny moments aside, there is also a serious side to this podcast and you can learn a great deal from it, many tips and tricks. Both presenters are well versed in all aspects of software and hardware, and also run online webinars which are highly useful. Even better, this is a British podcast with British presenters. 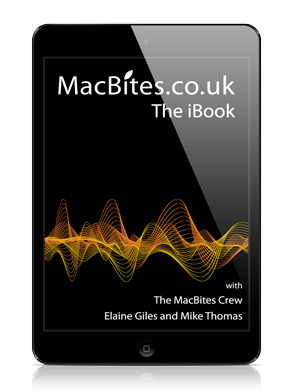 Download MacBites and try it out today – you won’t be disappointed.